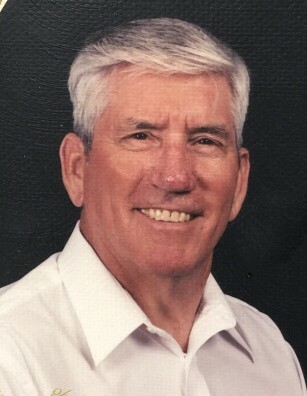 Don Garringer, 88, of Westridge Rd., Carlsbad, New Mexico, passed away Friday, March 22, 2019 at his home. Visitation will be 4 PM-6 PM, Wednesday, March 27, 2019 at Denton-Wood Funeral Home. Funeral services are scheduled for Thursday, March 28, 2019, at 10:30 AM, at First Baptist Church with Pastor Randy Land and Pastor Bob Bacon officiating. Interment with full military honors will follow in Carlsbad Cemetery, Carlsbad, New Mexico. Denton-Wood Funeral Home is in charge of the arrangements. Don Garringer was born April 25, 1930 in Ringwood, Oklahoma to Chester Worthington Garringer and Fanny (Dossey) Garringer. He graduated from Lamesa High School in 1950 and was drafted into the US army soon after. Don married Mackie Emfinger August 13, 1951, in Junction City, Kansas while he was in basic training. He served his country during the Korean Conflict from 1951 to 1952. After being honorably discharged they moved to Carlsbad in 1953 where Don went to work in the furniture business. He worked for Skeen Furniture and Home Furniture before going to work for Southern Union Gas Company. Don retired from PNM in 1992 after 27 years of service. At the time he moved to Carlsbad in 1953 he joined the Eighth Army Reserve. Whenthe Army Reserve moved out of Carlsbad, he transferred to New Mexico Army National Guard and ultimately retired as Brigadier General in 1992. Don had an infectious smile that greeted everyone he met. His positive attitude and boundless energy was evident in everything he did. He loved his family, the community of Carlsbad, his country and God. He was a member of Toastmasters, Kiwanis, Campfire Girls, Inc. board, Elks BPOE 1558 and volunteered for numerous civic committees and activities. One of his proudest accomplishments was his work on the Carlsbad Veterans Memorial Park. He was a deacon in the First Baptist Church for over 30 years.